There are two options for making payments: checks and cash. While many people pay for goods and services by cash in many markets today, paying by check is becoming common by day, particularly because many businesses that prefer to handle transactions through the bank. If you would like to request payment via check, all you need to do is use a check request form. 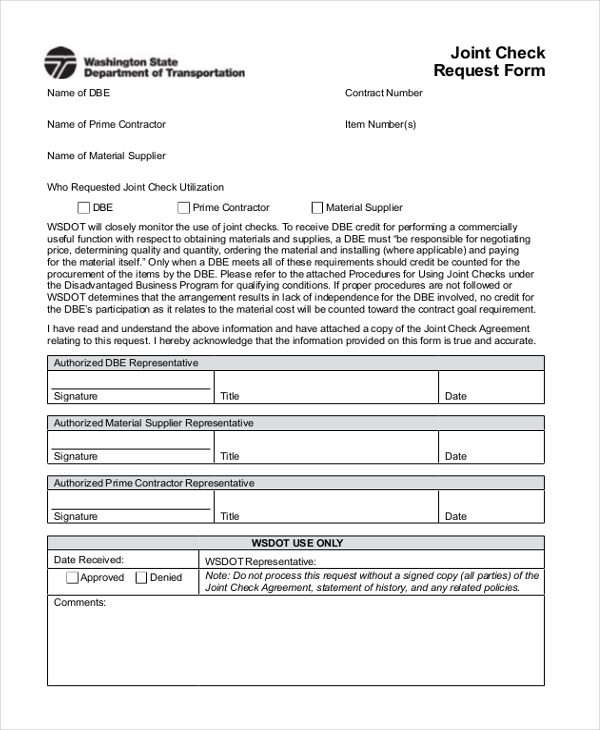 The check request forms are pre-made templates that you can download for free and use without paying a dime. The following are the top Request Forms that you should be using in your business. 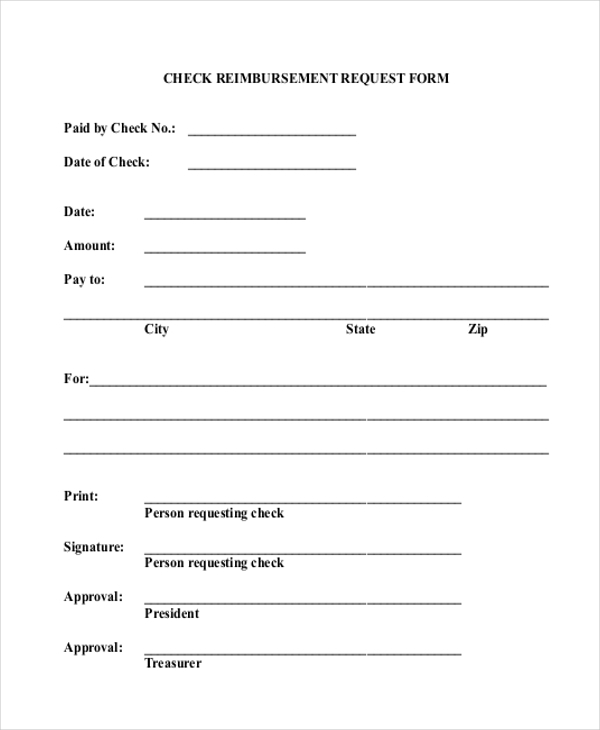 Use this form is you would like to pay for a reimbursement via check. Fill out the accurate details of the payment, and then remember to sign the document before issuing the form to the specific recipient. 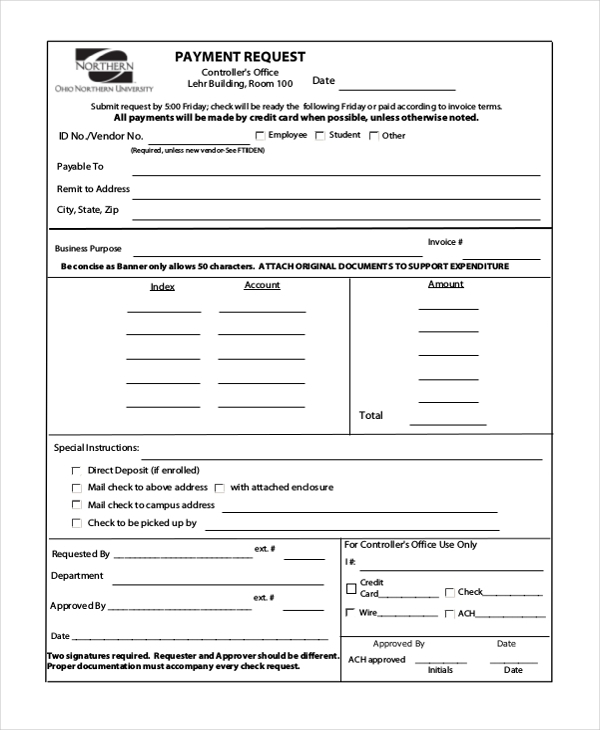 If you are an employee or a businessperson who prefer receiving payments via check to cash, you will find this sample form template very helpful. The form enables you to provide your bank details so that a payer can clear your payment via check. You may also see Donation Request Forms. You can use this payment request form to get mass payments into respective bank accounts. The template is ready for print, so you don’t have to bother doing a lot of editing on the design layout. Besides, it is also free to download. People who prefer to receive each payment by check can use this template to ask a payer to make their payment via this means. The form even gives you the freedom to decide how you prefer to receive the check as well as the date when you expect to receive it. You can also see Leave Request Forms. This from can be used in a different way, the most important one being to provide accurate information for easy checking and review. The form is easy for fill out and it is available for free download. Are you looking for a check sample form that you can download for free and use without having to make any changes to the design? Click the link below and download the free PDF file. You may also see Vacation Request Forms. 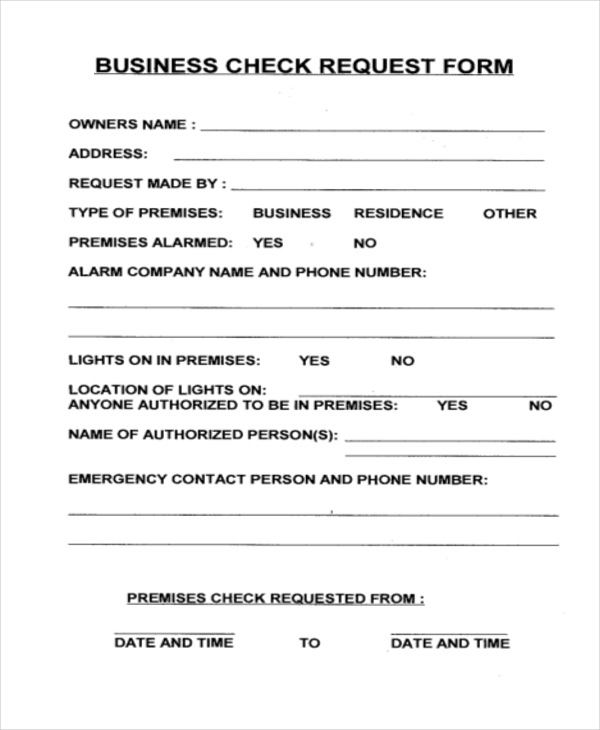 A business check request is a special form that homeowners can use to request for payment from clients who don’t mind making payments through the bank. The form is easy to fill; you just have to tick where appropriate and fill out necessary details as required. 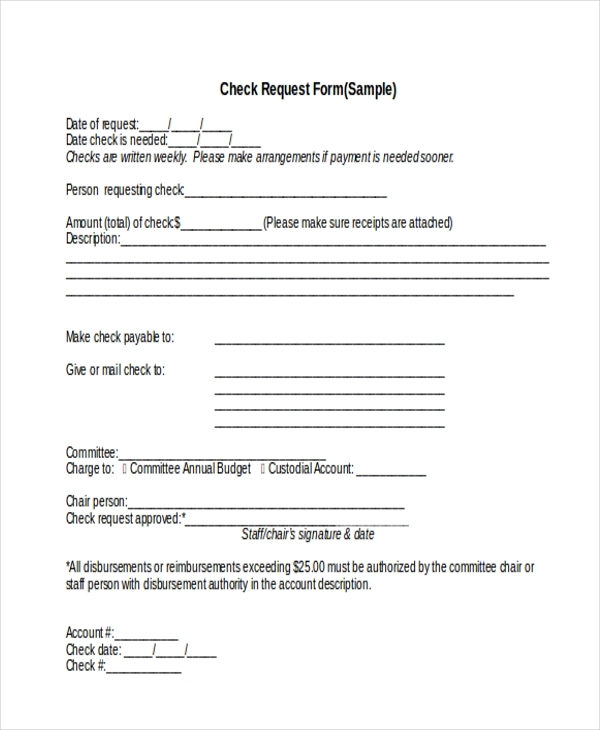 The only way to get paid on time through the check is to make sure you fill out this form accurately. Filling out this form correctly will reduce the payment delay time, so invest some time to fill out the document correctly. 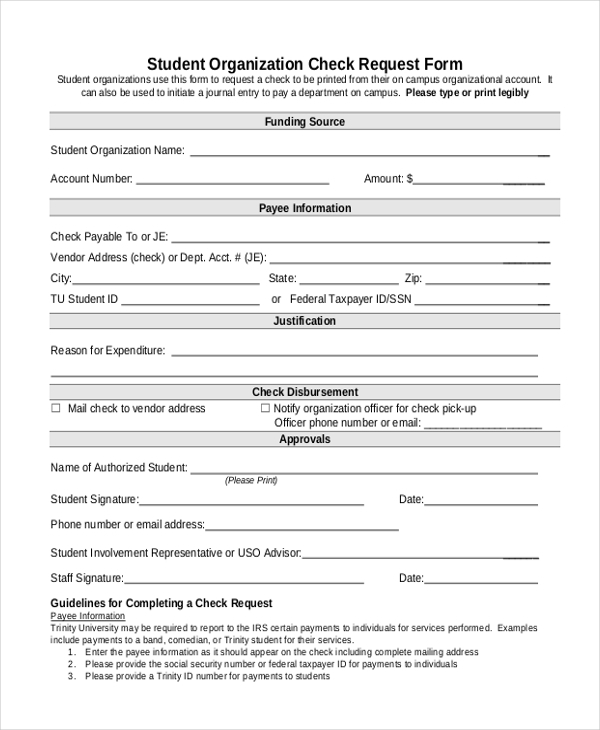 Read this form carefully before you can accept payment via a check. The form outlines the benefits and the demerits of joints check, making it easy for you to decide whether this is a good mean to receive a payment to a joint account. 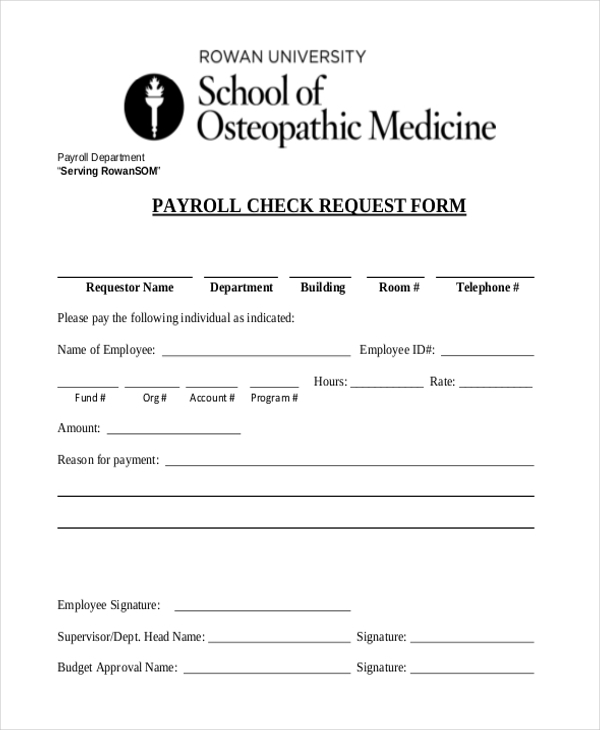 The Payroll Check Request form is the best document to use if you would like to not only quote the amount of money you would like paid but also write the reason for the necessity to process the payment. You can download the sample form without paying a dime. Check request forms are business documents. That means you will be using them for money purposes. It is important to remember that anyone who would like to request for money or a payment via this method can use the sample forms to do so. The checks forms are suitable for small as well as corporate businesses. It is important to remember that the type of check you use depends on what you would like to do. Of course, checks are used to handle money and transactions through the bank, but different people use them for different reasons. For example, you might use a check to repay a loan, pay school fees, or buy a piece of land. At the end of the day, it depends on you. You may also see Event Request Forms. The forms provided on this page are available for free download. That means you can use them anytime you want. Because there is a high demand for these sample files, creating them from scratch can waste a lot of your time. That’s why you should consider using the check request forms available for free download. You can also see Service Request Forms. With so many check templates available for free download, you don’t really have to spend a lot of time on your computer trying to create the forms from scratch. 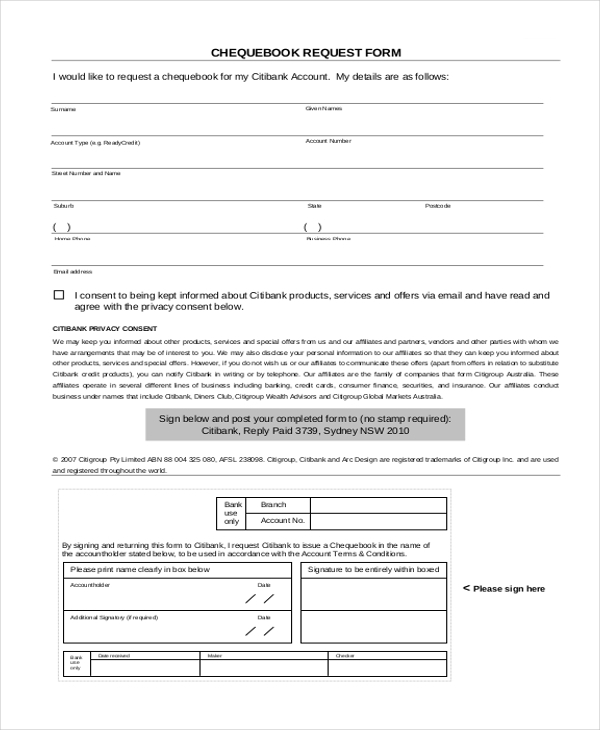 All you have to do is download the form with a single click of a mouse, print the sample form template, and then use the form to fill out all the necessary details about the check in question.